Below is a partial list of organizations that have successfully achieved the HDI Support Center Certification. 407 ETR is the world’s first all-electronic, barrier-free toll highway, stretching 108 km across the Greater Toronto Area. More than 380,000 drivers travel the 407 ETR every day, and it has a reputation for being safe, fast, and reliable. The employees of the 407 ETR Service Desk provide 24×7×365 support for the systems, applications, and mobile devices used by more than 500 employees. The team prides itself on providing exemplary customer service for every individual on Team 407. The Federal Aviation Administration (FAA) National Service Center (NSC) is part of ActioNet's Information Technology Contract, which services the FAA's Air Traffic Organization (ATO). Providing 24×7 support for commercial, private, and military aviation, the ATO supports more than 35,000 controllers, technicians, engineers, and support personnel. The primary function of the ATO is to move air traffic safely and efficiently. With more than 7,000 takeoffs and landings every hour, and more than 660 million passengers and 37 billion tons of freight moved each year, the men and women of the ATO ensure the safety of approximately 50,000 flights across our nation’s airspace every day. The Single Point of Contact (SPOC) is the hub for all Aetna IT infrastructure problems, 24 hours a day, 365 days a year. In 2011, SPOC handled 431,000 incidents and successfully resolved over 86 percent of those incidents on first contact. SPOC was established in 1995 to consolidate the regional support centers all over the country and to provide a centralized support model; it currently supports 41,000 Aetna internal users worldwide. Aetna users contact SPOC by phone, chat, or email, keeping the many analysts constantly busy. SPOC is advancing quickly toward its goal of 100-percent virtual resolution by providing innovative tools and products, such as chat rooms, new self-help products, and a web-based password reset system. For more than a decade, AlgarTecnologia has offered business process solutions and differentiated itself throughpersonal relationships and commitment to each client. AlgarTech has an international presence, a complete portfolio, a track record of important partnerships, titles and certifications and was designated by IDC as the fasted growing IT company in Brazil, 2012. Canon Solutions America provides industry leading enterprise, production, and large format printing solutions, supported by exceptional professional service offerings. With the technology offerings of the Canon and Oce brands, Canon Solutions America helps companies of all sizes improve sustainability, increase efficiency, and control costs through high volume, continuous feed, digital and traditional printing, and document management solutions. A wholly owned subsidiary of Canon U.S.A.,Inc., Canon Solutions America is headquartered in Melville, N.Y. and has sales and service locations across the U.S.
One of the global leaders in consulting, technology and outsourcing services, the Group reported revenues of 12.5 billion euros in 2016. Together with its customers, Capgemini creates and delivers business, technology and digital solutions that meet their needs, enabling them to achieve innovation and competitiveness. As an essentially multicultural company, Capgemini has developed its own way of working, the Collaborative Business ExperienceTM, based on Rightshore®, its worldwide delivery model. We offer a series of integrated services that combine state-of-the-art technology with deep insight into diverse industries and strong control of our four core businesses. CareTech Solutions is a healthcare information technology company with in-depth knowledge of how hospitals work. Service Desk professionals are experienced on all major hospital information systems and bring a vital understanding of clinical analysis to every call. Calls are fielded by trained support analysts in a state-of-the-art command center in the United States. Advanced infrastructure and application monitoring tools enable customer to observe systems via dashboards and reporting tools enable analysis and trending to bring call volume down. Monthly reports keep customers updated on end-user satisfaction and statistics including downtime, SLA performance, and service request management. The Service Desk is scalable to the size and scope of any hospital. CDI IT Solutions is a division of CDI (NYSE:CDI), a leading provider of engineering and IT outsourcing solutions and professional staffing. The company provides IT consulting, IT outsourcing, and IT staffing to lead organization optimization of IT infrastructure, reduction of aggregate IT costs, improvement of service levels, and reallocation of capital for strategic investment. The Global Service Desk provides IT, operational and enterprise support to World Bank Group customers. The Global Service Desk operates from client site and offshore delivery center. As noted by our Auditor, “There is a strong focus on quality management and an analytical approach to reviewing performance and identifying improvement.” Providing support to well over 100 applications, systems, policies and client tools, support ranges from internal enterprise systems to COTS solutions. CenturyLink is the third largest telecommunications company in the United States. A global leader in cloud infrastructure, hosted IT solutions, managed services in national and international markets, offers its high quality network and data centers for businesses and consumers. CenturyLink is an S&P 500 company and is included among the Fortune 500 list of America’s largest corporations. Cerner is the world’s largest publicly traded health information technology company, providing leading-edge solutions and services for health care organizations worldwide. Cerner’s mission is to contribute to the systemic improvement of health care delivery and the health of communities, and Cerner Connect is Cerner’s support organization, serving as the “front door” for clients. The goal of Cerner Connect is to provide a proactive and personalized support experience, anticipating users’ needs and continuously advancing clients toward achieving their goals. Given the “always on” nature of healthcare organizations, many Cerner teams operate 24x7x365 in order to provide the necessary levels of support for clients globally. Cognizant (NASDAQ: CTSH) is a leading provider of information technology, consulting, and business process out­sourcing services, dedicated to helping the world’s leading companies build stronger businesses. Headquartered in Teaneck, NJ, Cognizant combines a passion for client satisfaction, technology innovation, deep industry, and business process expertise with a global, collaborative workforce that embodies the future of work. With over 75 development and delivery centers worldwide and approximately 211,500 employees (as of December 31, 2014), Cognizant is a member of the NASDAQ-100, the S&P 500, the Forbes Global 2000, and the Fortune 500, and is ranked among the top-performing and fastest-growing companies in the world. Visit us online at www.cognizant.com or follow us on Twitter: @Cognizant. Founded in 1994, ConnectCom is a São Paulo–based provider of specialized computer equipment maintenance services. Its team of highly-qualified technicians and specialists manages over 200,000 desktops and servers, and recently resolved its four-millionth incident. In addition to achieving the HDI Support Center Certification, ConnectCom is certified in ISO 9001. CTC First Contact Corporation was founded on April 2000 as a 100% subsidiary of ITOCHU Techno-Solutions Corporation. Our fundamental goal is to connect businesses with customers by playing the “First Contact” role. In doing so, we aim to solve issues from the customers’ perspective. Our experience from supporting wide range of industries has created the foundation for providing assured Service Desk and Contact Center services to broad range of clients. At CTC First Contact Corporation, we also offer "Education and training services," "Manual creation service," "Outbound services" and "BPO (business process outsourcing). In doing so, we aim to offer clients with Total Solution for their businesses. CTIS, a leading IT company in Brazil, offers a wide range of IT services and products to large corporations, as well as providing equipment, software, supplies and accessories to retail consumers. Totally national, CTIS works mainly in São Paulo, Rio de Janeiro and the Federal District. With a focus on sustainable development, innovation and quality, CTIS knows that technology is most useful when it improves people's lives and futures, and that requires passion. The DISN Global Support Center (DGSC), formerly known as the DISN Customer Contact Center, is the single point of contact for the Defense Information System Network (DISN).The DGSC, located in Columbus, Ohio, is available 24 hours a day, 365 days a year, providing service desk support to assist users of the DISN.The DGSC plays a critical role in first contact resolution (FCR) and service request logging for its support partners.In addition to FCR and service request logging, DGSC escalates service request reports as appropriate, performs quality assurance on service requests, provides customer education on the use of the DISA Direct Order Entry, and provides assistance with video conference scheduling and registration. EcoRodovias is an integrated logistics infrastructure company, which operates intermodal logistics assets, road concessions and related services in a sustainable and socially responsible manner. Its mission is to create value in a sustainable way through entrepreneurship and management of synergies in the portfolio of business in logistics infrastructure, aligning them through the culture, principles of management and governance of the EcoRodovias Group. The e-staffing Support Center is an integrated support channel for customers that have introduced and are utilizing “e-staffing”, the staffing management system provided by e-staffing Co., Ltd. We respond to various inquiries from our customers, which include over 2,700 client companies and over 4,100 temporary staffing companies. As the de facto standard of staffing management system in Japan, the number of temporary staffs who are managed via “e-staffing” currently exceeds 100,000. Fujitsu is a leading provider of ICT products, services, and solutions for the global marketplace. With approximately 170,000 employees supporting customers in more than 100 countries, Fujitsu uses its experience and the power of ICT to shape the future for its customers. Fujitsu Limited reported consolidated revenues of ¥4.4 trillion ($47 billion) for the fiscal year that ended on March 31, 2013. As part of the Fujitsu Group, Fujitsu Frontech Limited ties people and IT together through the development, manufacture, and sale of front-end technology such as ATMs, banking terminals, POS and totalizator terminals, and public display devices, and delivers related software and system integration. Fujitsu Frontech also delivers various services for the financial and retail industries as part of its total solutions offerings, and delivers relief and safety to all customers by providing high-rank help desk service from our highest level support center. The company supports the security sector by offering products incorporating Fujitsu's latest palm vein authentication technology, and is actively involved in the development of key technologies in various fields, with a current focus on RFID systems. Fuji Xerox Service Creative Co., Ltd.
Fuji Xerox’s basic philosophy is helping customers and society foster mutual understanding through better communications. The company develops, produces, and sells xerographic and document-related products and services, and its approximately 47,000 employees support customers in Japan and Asia-Pacific. Service Creative provides support for business solutions and services for Fuji Xerox, and the Customer Contact Center supports not only request for maintenance but also inquiries for machine operation, document solutions, and outsourcing services. Fuji Xerox reported approximately $10B in consolidated revenue for fiscal year that ended on March 31, 2017. Greenberg Traurig, LLP is an international, multi-practice law firm with approximately 1,900 attorneys serving clients from 38 offices in the United States, Latin America, Europe, Asia and the Middle East. The Greenberg Traurig Helpdesk provides 24x7 support for all Firm systems and applications. Our team is dedicated to exceeding our client's expectations by providing consistent, exceptional service and solutions. 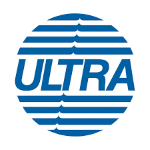 With almost 80 years of activities, Ultra is a multinational company that is among the five largest business groups in Brazil. The company maintains leading positions in the business segments in which it operates: Extra Farma, Ipiranga, Oxiteno, Ultra Cargo, Ultra Gaz. Indra is the leading consulting and technology multinational in Spain and Latin America. It offers solutions and technological services for the sectors of Transport and Traffic, Energy and Industry, Public Administration and Health, Financial Services, Security and Defense and Telecom and Media. Indra has always been a business project built with long-term vision and from the conviction that maintaining a company profile focused on innovation with a strong technological base, offering leading solutions to leading customers, allows us to generate higher growth rates and profitability and thus to be capable of creating value in the short, medium and long term. Intergraph is the leading global provider of engineering and geospatial software that enables customers to visualize complex data. Businesses and governments in more than sixty countries rely on Intergraph's industry-specific software to organize vast amounts of data into understandable visual representations and actionable intelligence. Intergraph's software and services empower its customers to build and operate more efficient plants and ships, create intelligent maps, and protect critical infrastructure and millions of people around the world. Intergraph Solutions Center focuses on providing services (including total hardware, networking, operating system, and applications support) that enable its clients to make the right decisions at the right time using the right information. Organizations need total IT support, whether it's to support custom systems, consolidate support from multiple vendors, or augment their own staff. At Intergraph, we recognize that each customer's needs are different, and we satisfy those needs through our customer-centric approach. 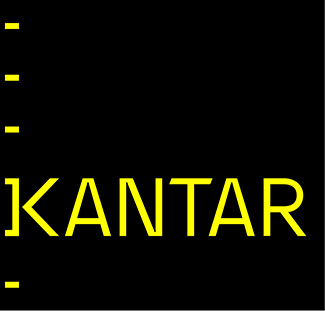 Kantar is the data investment management division of WPP and one of the world's largest insight, information, and consultancy groups. By connecting the diverse talents of its twelve specialist companies, the group aims to become the preeminent provider of compelling and inspirational insights for the global business community. Its 27,000 employees work across 100 countries and across the whole spectrum of research and consultancy disciplines, enabling the group to offer clients business insights at every point of the consumer cycle. The group’s services are employed by over half of the Fortune 500. Kantar IT Partnership Service Desk is based in Hyderabad, India, and provides 24×7 support to English-speaking users within Kantar and its twelve operating companies. Lampp-it Solutions presents the best in information technology and organizational consulting, providing the right way to expand results and generate value for corporate management. Lampp-IT Solutions believes in excellence in products and services from an innovative vision in information technology, providing adequate ways to maximize results and generate value to corporate management. The company operates in the following areas: Consultancy in Project and Process Management, System Development, Customer Service Center and Innovation Projects and Services. LexisNexis leads the industry with the most advanced technology and comprehensive data solutions, so you can make the right decisions quickly. Serving the multi-billion dollar risk information industry, we offer solutions to a wide range of organizations in financial services, health care, insurance, retail, petrochemical, non-profit and government to name a few. We are committed to understanding the needs of our users and helping them achieve smarter answers faster. With over 400 LexisNexis support professionals, we strive to serve each customer's individual needs with the highest degree of integrity, maintaining a customer first mentality while optimizing process efficiency and employee satisfaction. The AFNCR Call Center is a Lockheed Martin contract serving the United States Air Force National Capital Region (AFNCR) supporting the United States Air Force’s 844th Communication Group. We provide the single point of contact for the support of 18,000 Air Force customers serving within the National Capital Region for a full range of IT services at three primary locations: Andrews and Bolling Air Force Bases, the Pentagon and the other regional sites. In addition to call center operations, the contract includes enterprise IT management, classified systems support, program management and engineering, and information assurance. The AFNCR is the first Air Force call center to achieve the prestigious certification. Headquartered in Bethesda, Md., Lockheed Martin is a global security company that employs about 146,000 people worldwide and is principally engaged in the research, design, development, manufacture, integration and sustainment of advanced technology systems, products and services. The corporation reported 2008 sales of $42.7 billion. Marine Corps Tactical Systems Support Activity (MCTSSA) is a subordinate command of Marine Corps Systems Command at Quantico, VA. It is the USMC's Center for Command, Control, Communications, Computers, and Information (C4I) Systems Interoperability and Integration. The Operating Forces Tactical Systems Support Center (OFTSSC) of the Operating Forces Support Division (OFSD) serves as the Marine Corps’ single point of entry for resolving all tactical C4I cases. OFTSSC provides remote and on-site support to the Operating Forces during all phases of exercises, deployed operations and contingencies. OFTSSC provides the warfighter access to 24/7/365 real time help via phone, internet relay chat, or email. NEC Fielding, Ltd. is a provider of largest companies in Japanese IT support service, including network design, outsourcing, support and maintenance for both business and individual users of IT equipment and systems. The Helpdesk Solution Center specializes in its customer's industries as well as support for universal applications. NTT Communications is a wholly owned subsidiary of Nippon Telegraph and Telephone Corporation (NTT Corp.), one of the top 3 telecom companies in the Fortune Global 500 ranking. NTT Communications provides consultancy, architecture, security and cloud services to optimize the information and communications technology (ICT) environments of enterprises. These offerings are backed by the company’s worldwide infrastructure, including the leading global tier-1 IP network, the Arcstar Universal One™ VPN network reaching 196 countries/regions, and 130 secure data centers worldwide. As a result of providing high quality services to the enterprises ,NTT Communications won "Best Global Operator at World Communication Awards 2014"
Persol Works Design specializes in the construction of an operation organization of helpdesk / callcenter of various industries, and subsequent operation. In addition, we provide various fields of support such as education and consultation services at international level using methods of HDI and ITIL. The National Education and Research Network (RNP) provides global integration and collaboration based on information and communication technologies for the generation of knowledge and the excellence of education and research. 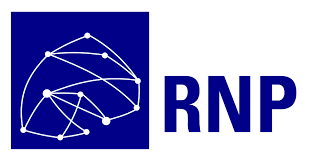 Since 2002, it has been a Social Organization (OS) linked to the Ministry of Science, Technology, Innovations and Communications (MCTIC) and maintained by it in conjunction with the Ministries of Education (MEC), Culture (MinC), Health (MS) and Defense (MD), who participate in the Interministerial Program of RNP (PI-RNP). Pioneer in 1992 as the national internet access network in Brazil, RNP's main task is to promote technological development and support the research of information and communication technologies, creating innovative services and projects, and qualifying professionals. To this end, it provides public research and higher education and technological institutions with advanced network infrastructure that enables and facilitates collaborative research in several areas of knowledge. Through the applications of this network, it enables the realization of projects and the implementation of public policies in the areas of technology, education, health, culture and defense. Saudi Basic Industries Corporation (SABIC) ranks as the world’s third largest diversified chemical company. SABIC’s businesses are grouped into Chemicals, Polymers, Agri-Nutrients, Metals and Specialties. It has significant research resources with innovation hubs in five key geographies – USA, Europe, Middle East, South East Asia and North East Asia. The company operates in more than 50 countries across the world with around 40,000 employees worldwide. SABIC manufactures on a global scale in Saudi Arabia, the Americas, Europe and Asia Pacific. Headquartered in Riyadh, SABIC was founded in 1976 when the Saudi Arabian government decided to use the hydrocarbon gases associated with its oil production as the principal feedstock for production of chemicals, polymers and fertilizers. The Saudi Arabian government owns 70 percent of SABIC shares with the remaining 30 percent publicly traded on the Saudi stock exchange. The Saudi Food & Drug Authority is a government body that regulates, oversees, and controls food, drug, and medical devices in Saudi Arabia. The SFDA sets mandatory standards and specifications for imported and locally-manufactured goods and devices, conducts testing and quality control activities to confirm adherence to those standards, and communicates with consumers to raise awareness on all matters related to food, drug, and medical devices. At SMBC Nikko Securities, our policy "to provide higher value, based on a customer-first principle" stands as the core reason our clients choose us as their investment provider, and is fundamental to the system of proactive communication we continually work to maintain. Turning the potential of people and technologies into solutions. This is our mission. We add people to their potential; technologies to their possibilities. We pursue, with independence and independence, the most appropriate solution for our customers and our customers. Commitment is in our DNA, in our spirit. Unconditional commitment to our mission and reason for existing; strong commitment, intense, with the client and its success; commitment to generating value for our shareholders; commitment to constant and consistent communication with people; commitment to who is committed; non-negotiable commitment to our values. SPAWAR Systems Center Atlantic rapidly delivers and supports Information Warfare solutions for our Naval, Joint, National and Coalition Warfighters. The Space and Naval Warfare (SPAWAR) Systems Center Atlantic Enterprise Service Desk (SA-ESD) performs as one of the Navy's key support hubs under the Navy's Distance Support Program. As the NAVY 311 for Manpower, Personnel, Training & Education (MPT&E) programs, the SA-ESD supports over 1.4 million Navy, Marine Corps and Coast Guard personnel in both the Active and Reserve components. Support teams are organized based on the programs they support, combining staff where commonality of supported programs and delivery skills exists. Using this resource sharing approach, the SA-ESD is able to provide customer support services to more than 35 applications used Navy-wide in the daily interactions of our warfighters. Stefanini brings decades of IT outsourcing experience to customers around the world. They support medium and large companies through managed offshore, onshore and nearshore IT services, systems integration, consulting and strategic personnel. With a customer base of more than 500 active customers, including more than 300 multinational clients, Stefanini maintains a strong presence in industries such as financial services, manufacturing, telecommunications, chemicals, services, technology, public sector and public services. The global corporate headquarters is located in Sao Paulo, Brazil, with its European headquarters in Brussels and North American headquarters in metropolitan Detroit. Sungard Availability Services provides disaster recovery services, managed IT services, information availability consulting services, and business continuity management software. With approximately five million square feet of data center and operations space, Sungard AS helps customers improve the resilience of their mission-critical systems by designing, implementing, and managing cost-effective solutions using people, process, and technology to address enterprise IT availability needs. Available 24×7×365, Sungard AS experts are backed by more than thirty years of BC/DR experience and hold nearly forty industry certifications. The goal of Sungard AS is to provide premier solutions for its global customers to ensure their business continuity programs are successful, while achieving the highest level of satisfaction. TIVIT, a leader in integrated IT and BPO services in Latin America, in its portfolio organized in three broad areas of business: IT Infrastructure, Application Systems and BPO. Currently, it has 19 units, located in the main regions of Brazil, and an extensive infrastructure that allows scalability, reliability and information security. TIVIT manages strategic and vital operations for its clients' businesses, breaking 300 of the 500 largest Brazilian companies. The company provides services to large banks, insurance companies, credit card companies, manufacturing industries, utilities and retail.